Our new AXN™ Model One is a modern Strat shaped guitar with a fixed bridge and it will rock your world. This guitar has a hardtail bridge which strings through the back of the body. This provides sustain, the ability to change tunings quickly, and the familiar sound of a fixed bridge guitar. The AXN™ Model One includes our popular hand made mahogany neck featuring our proprietary "LP" neck profile which is reminiscent of a vintage Les Paul. It blends the best of those 1950-1960s LP necks that everyone loves yet incorporates aspect modifications that appear within a few artist model LPs. Our exclusive jumbo Model One fret size ( equivalent to Dunlop 6000 ) is standard. We refined the body thickness, girth as well as the wood species. 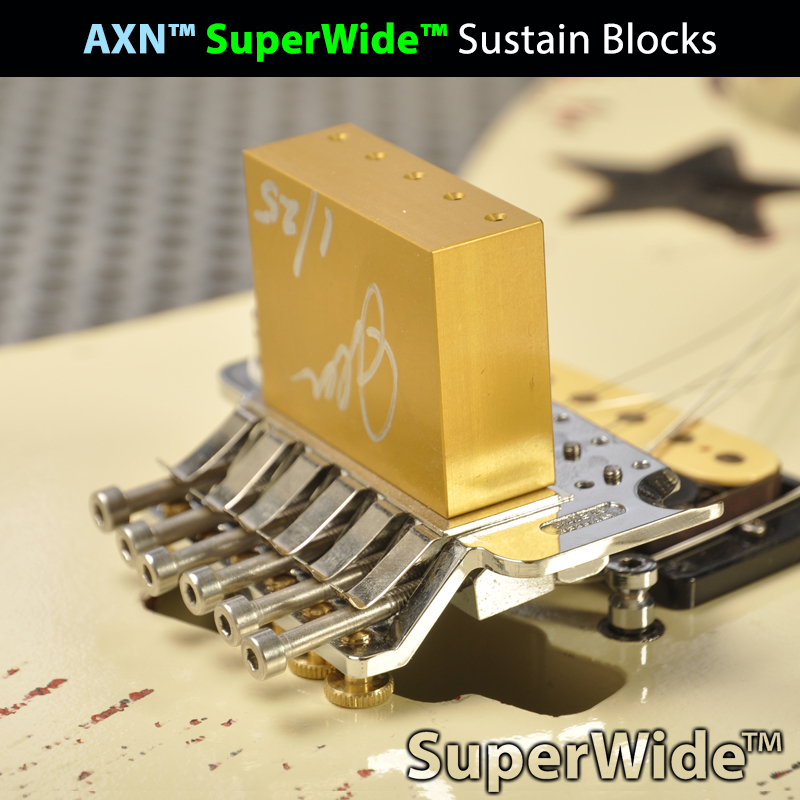 Our AXN™ pickup routing removes only enough space for a single pickup and retains the guitars body's precious tonewood. We are selective in choosing only the best metal hardware used in our Model One achieving a marvelously smooth hard rock tone. The misconception that one guitar should cover a multitude of sounds contrasts sharply with the fact that professionals use a specific guitar for each style of music they are performing. 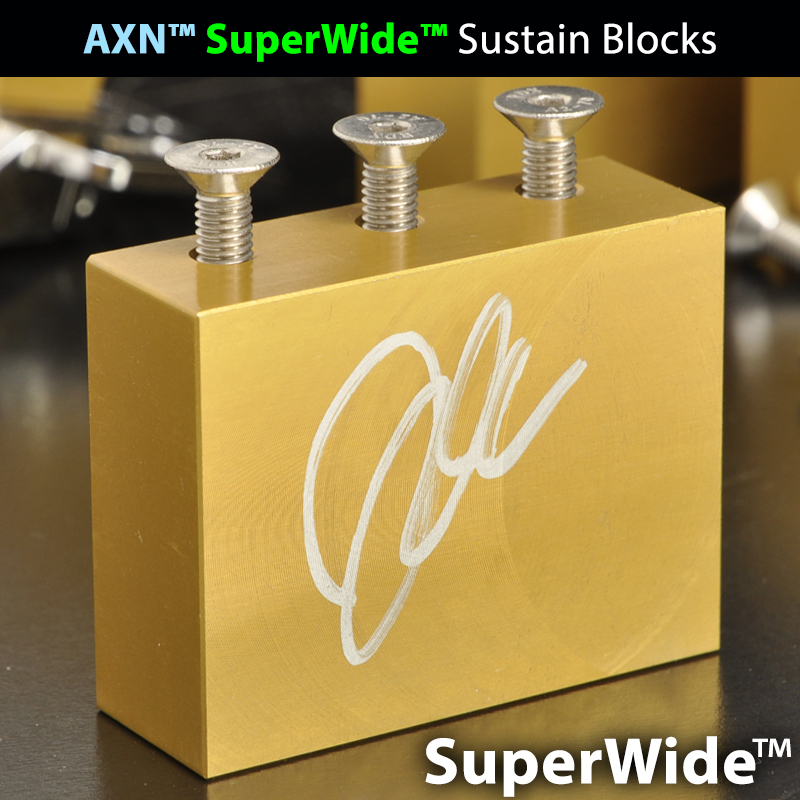 The AXN™ Model One will transcend the gap between Alternative & 80s Metal, 1970's Hard Rock and todays Metalcore. An AXN™ Model One is made to do one thing... Rock! The Model One is more than just a Les Paul killer. Its ready to to replace your most tone-full neck-through and set neck guitar. It will become your number one go to axe. Since its inception we’ve fine-tuned everything including the exotic woods used. We balanced resonance and sustain against each other while adjusting clarity, bite and response. This guitar is designed to drive tight, articulate and well rounded modern distortion and magnificent sparkling cleans to your amp. Its perfectly suited to progressive players familiar with higher volumes and aggressive playing techniques. The AXN™ Standard Model One, the MetalCoreST™ and The AXN™ Model 1X are very similar. They all have our hand made mahogany neck with super jumbo frets and a resonant 2-piece and center-joined swamp ash guitar body. 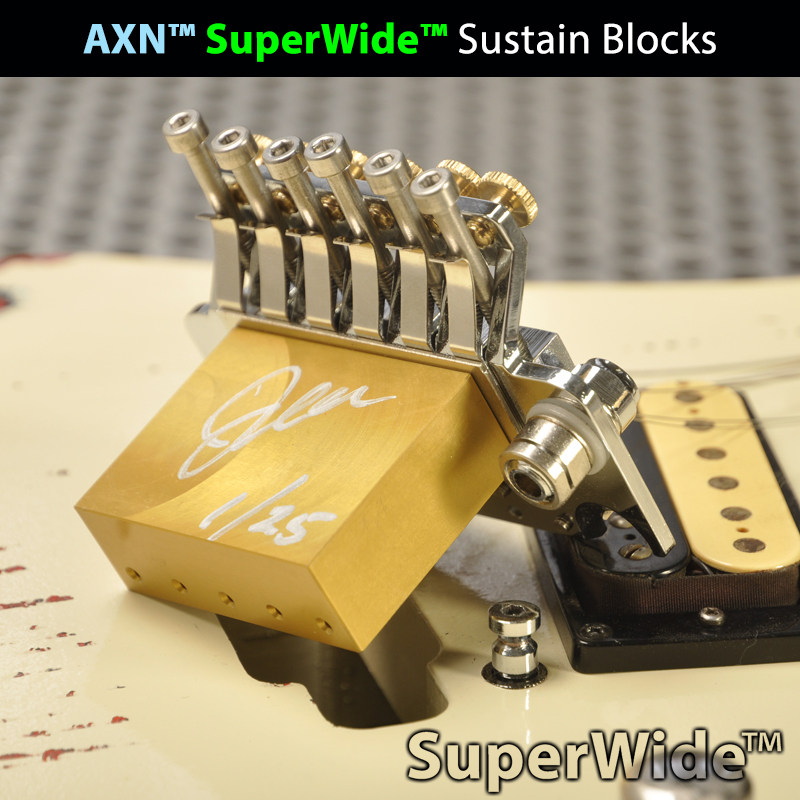 The AXN™ Standard Model One resembles more closely the body shape and features of a vintage stratocaster. A Standard Model One will have a slanted ( angled ) humbucker and will also be offered with a strait humbucker. Our Standard Model One may also have a pick guard and be offered in a version with no pick guard showing only a single humbucker. Either way, under the pick guard the routing will keep precious wood and will have single humbucking pickup route. 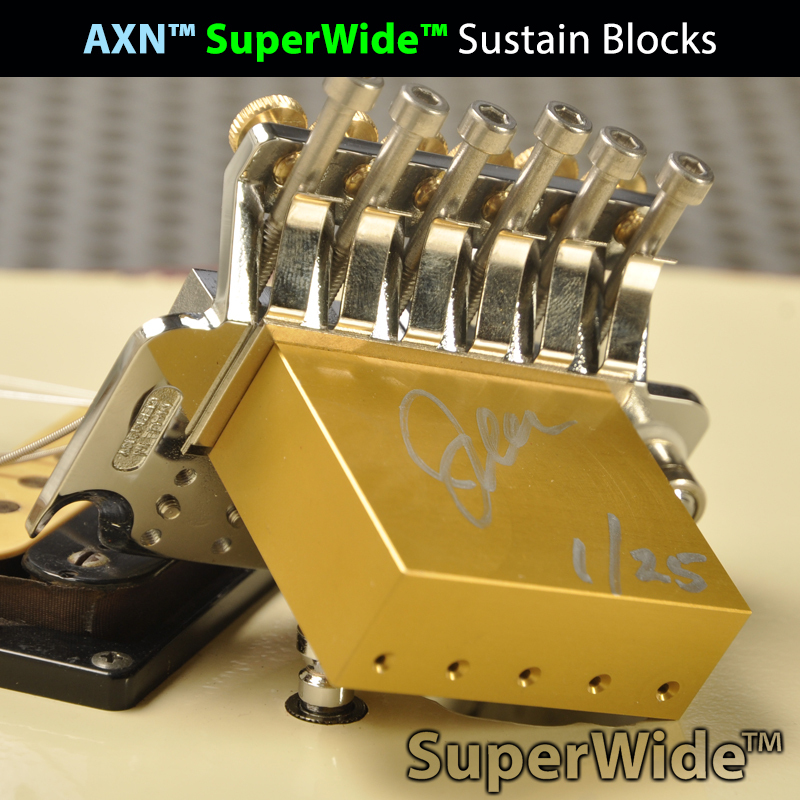 The AXN™ Model 1X and AXN™ MetalCoreST™will include our modernized strat body shape. A Stainless Steel Hardtail Bridge and a boutique or name brand pickup are just some of the features within all our unique Model 1. Limited additions such as the AXN™ MetalCoreST™ and our AXN™Junior™ will have virtually the same features as a Model 1. Yet these model will have other specialized choices reaching just beyond. The AXN™Junior™ will launch in 2018 and will have a P-90 pickup and 50 style wiring for that 1970 rock-n-roll vibe! Keep a lookout! This special version of the M1 the guitar can deliver tunings effectively to Drop A-Sharp and A tunings. A MetalCoreST™ Model One is designed and voiced for Lower Tunings. Using a 25.5” scale the extra 3/4” helps enable this range when compared to common set neck guitars.